Have you recently treated yourself to a brand new television in the January sales? No matter the price you paid, chemical photo etching guarantees quality. It might sound strange but photo etching forms a vital part in manufacturing a brand new digital television, enabling you to sit back on the sofa and watch the latest soaps or the big game in incredible quality. It is amazing that something that is often taken for granted undergoes such a complex process to bring alive the technology that is used every day. Satellites rely on the quality of materials made from photo etching to beam the digital signal from outer space directly to the receiver in your front room. This technology is so precise that it is also highly popular, and highly important, for manufacturing parts that are used in the aerospace industry. The very fabric of your new television, the circuit board, can also be made using the photo etching process. The circuit board requires small and precise parts, and, even when these are produced on a mass scale, the chemical photo etching process ensures that each part meets the required standard. The industry continues to grow year on year with demand continuing to rise on photo etching to provide the materials needed to keep improving technology in line with demand. As well as being the most efficient method in terms of mass production, photo etching is also by far and away the most precise, guaranteeing that each and every component is manufactured to the highest standard. Without the expert photo etching process, the quality of modern day televisions, and a range of other everyday electrical products would be far below the quality and standard of what we have become accustomed to in today’s digital world. Manufacturers rely on the process to meet the ever growing demand of the industry and their customers. Photo etching also allows them to keep improving and developing their products and pushing the boundaries of what is possible to keep them one step ahead of the field. 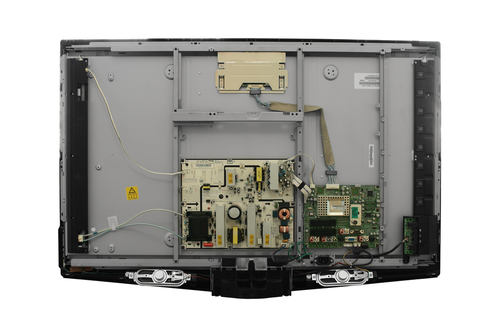 The next time you walk through the high street and see the latest ultra-high-definition 4K television in the window, you will have much more of an understanding of the process that has gone into manufacturing the product to get it ready for use. If you would be interested in learning more about the photo etching process then please do not hesitate to contact the team and find out how you might be able to incorporate the capability into your manufacturing process.